As you may know, I am smack dab in the middle of my adventure at Michigan State (15 hours down). This semester one of my classes focuses on the design process (or more accurately design thinking). It is CEP 817 – Learning Technology through Design. As with most of my classes so far, this one has many small assignments and discussions, as well as a major, semester-long assignment which I am going to briefly outline now. Basically, I have been tasked with designing a response to a Problem of Practice. As most of you know, I have been the Technology Director at my school since July. 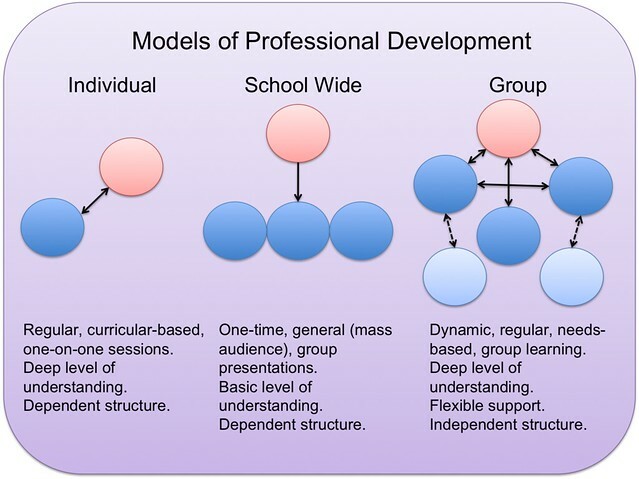 One of the areas that I have noted as an area of weakness is our professional development (PD)program. Currently, it is more of a shotgun approach where we have people come in and talk about a particular area or initiative. This tends to be too simple for some teachers and too complex for others. There is a small minority that gets what they need out of it. 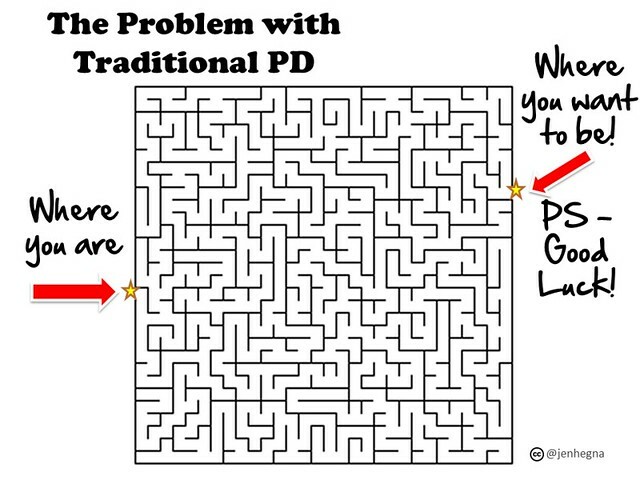 This decreases motivation to attend PD sessions and increases muttering. The teachers in my school run the gamut from technologically savvy to as one teacher refers to it the group that wants to throw their computers off the roof. The shotgun method isn’t working, and it is wasting money (not to mention valuable time). With this in mind, I hope to develop a delivery system that meets the needs of all teachers. In order for this to happen, I have to find a system that takes into account the varied backgrounds of the teachers. It also needs to provide choice to teachers so they can focus on what they are most interested in learning (hopefully raising motivation) Additionally, the program needs to take into account a way to maintain records for renewal credits. Finally, it has to be simple enough for the novice but complex enough for the advanced teachers that we have. My preliminary thoughts are that I can come up with an online delivery system that can assess where teachers are so that it can then point them to the most useful PD units. Alternately, it might be possible to divide PD days up into segments with each segment pertaining to a different group that would either be self-selected or assigned by administration. My first step would be to ascertain from the teachers what they see as needs and wants for Professional Development. After that, I can start working towards the best way to move forward. I’ll be sure to keep you up to date on my progress, and as always, I would value any input that you would like to give.